ModVans is a Title III - Regulation Crowdfunding Campaign and is actively accepting investments. Modern, Modular and Affordable Camper Vans. The ModVans CV1 is the superhero of campervans, hauling kids to and from soccer practice by day and road tripping by night. It’s a cargo van for work during the week and a living space for play on weekends. It’s an adventure van that doubles as a daily driver. Originally built to meet the needs and tastes of our founders, Laurie and PJ Tezza, the prototype CV1 quickly caught the attention of countless autobuyers eager for an alternative to stale RV designs. During our first 12 months in business, ModVans has sold over $2.4 million worth of CV1s and achieved positive cashflow with virtually no money spent on marketing or sales. That’s 100% organic growth! ModVans achieved RVIA certification this past February, and customer deliveries began in June. The demand for ModVans far exceeds our present ability to produce them, which is why we are seeking funding now. We need to immediately expand production capacity by scaling our existing model. The goal is to increase sales to $10 million per year within the next 12 months. 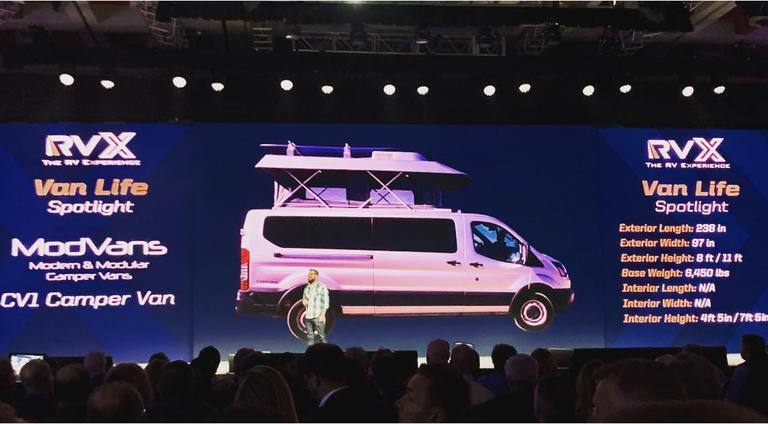 Our long-term ambition is to disrupt the estimated $900 billion per year combined market for Class B RVs, minivans, SUVs and pickup trucks. Sources: GoodCarBadCar. Market Size Projection based on GoodCarBadCar 2017 USA units sold times the average CV1 sale price of $86,000. The ModVans vision is to win the hearts of adventurers and soccer moms alike. We want people to choose our multi-purpose camper van as their next minivan, pickup truck, SUV, or RV. We want them to be inspired to explore the great outdoors and get to work in comfort and safety. To achieve this vision we must be able to meet customer demand. With current estimated delivery dates more than a year out, the biggest obstacle to revenue growth is limited production capacity. Our immediate need is to move into a bigger space and hire and outfit six more full-time assembly techs. This investment campaign will help us meet our short term goal of growing from $2.4 million in sales per year to $10 million per year. Beyond the $10 million per year plan, we envision capturing 1% or $9 billion per year of the overall family and work vehicle market. With safe, comfortable seating for 5+ and removable RV components, the ModVans CV1 is a full-featured camper van, family van and work van all in one. We believe the US market value for minivans, pickup trucks, SUVs and RVs is over $900 billion/year. Source: Market Size Projection based on GoodCarBadCar 2017 USA units sold times the average CV1 sale price of $86,000. $5.95/Class B Non-Voting Common Stock│When you invest you are betting the company’s future value will exceed $13.5M. With $2.4 million in revenue, no sales costs and positive cash flow, you may be wondering why ModVans needs investors. We get this question a lot! The answer is a matter of math and timing. We are positively inspired by the story of Grand Design RV. In 2016, after only four years in business, Grand Design was acquired by Winnebago for approximately $500 million. To achieve this valuation, Grand Design was building 6,000 RVs per year. That’s a lot of RVs! We think ModVans has the potential to be much, much bigger! Assuming ModVans could invest 20% of every sale into production capacity at our current pace, we would save $500,000 over the course of a year. Growing just from those profits, it would take years to reach 6,000 RVs per year. That’s not nearly fast enough to achieve the explosive growth of which we believe ModVans is capable. Our customers, friends and fans have seen our success and our sensational vans, and many have told us they want to invest! A regulation crowdfunding campaign is the simplest, quickest way for us to offer equity to both accredited and non-accredited investors. Another unique benefit of crowdfunding is that every investor becomes a brand ambassador. We know our investors will want to share the ModVans story far and wide. We believe that over the last decade, changing consumer tastes and financial conditions have forced rapid and drastic changes in the auto industry. Consumers are no longer satisfied with a basic car that gets them from point A to point B: The best selling vehicle in the US is the aluminum bodied Ford F150 pickup truck, every manufacturer has a deep lineup of crossover SUVs, and some auto manufactures now say that traditional cars are no longer worth building. Auto manufacturers that have invested in R&D to keep pace with this paradigm shift are reaping the rewards in a market for vans, trucks and SUVs that continues to grow. The RV market has experienced even more growth than the automobile industry over the past decade. We believe this growth has shielded RV manufacturers, who continue to double down on the “bigger with more amenities” strategy. But change is coming as demographics of mainstream RV buyers shift from baby boomers to millenials. The beginning of this shift is evidenced by the fact that smaller, Class-B RVs are now the fastest growing motorhome market segment. We believe that people want an adventure vehicle that isn't limited to their old conceptions of an RV as a bulky house on wheels. They want something with more potential. Today’s buyers are searching for new experiences. They want performance, practicality, and the ability to indulge their passions for adventure. 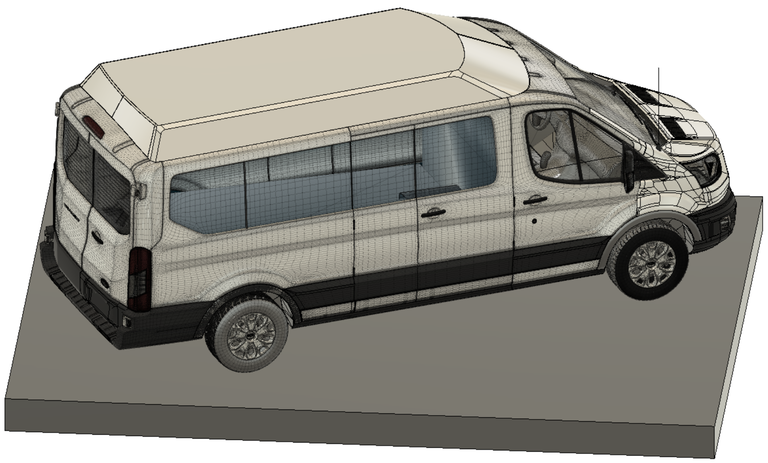 ModVans is on the cutting edge of vehicle design, and our modular CV1 camper van is just the start. With your help, we can disrupt the auto and RV industries. We believe that other RVs on the market today neglect the wants and needs of today’s buyers as well as recent advances in materials and manufacturing processes. ModVans brings an innovative strategy to this industry - a distinctive multi-purpose vehicle that replaces the need to own separate vehicles for work, life and play. Investing in ModVans now is your best opportunity to invest in a revolutionary vision for the future of transportation. Our premier RV, the model CV1, is the first in a planned line of many vehicles. It is a full-featured camper van, passenger vehicle and work truck all in one. It features removable, modular components that allow owners to adjust the layout to their activities. Critically, the CV1 is based on the low-roof, medium-length Ford Transit chassis, making it affordable, easy to drive, easy to park, and serviceable by any Ford dealer. A complete list of options and customizations and detailed descriptions of design features is available on the ModVans website. Q: How long did you search for a camper van before selecting ModVans? A: We have been researching online for about three years and waiting for smaller camper vans to be released on the market. A: We have admired from afar for years, but then began searching earnestly for a van or builder at the beginning of August [6 months]. We first connected with buyers through $5 ads on Craigslist, and after only a month, demand was so overwhelming that we stopped all paid advertising. For the last 12 months, all sales have come from unpaid organic growth via Google searches, customer referrals and mentions online and in the press. The ModVans website provides detailed information, photos and videos about the CV1. In addition, potential customers often call or email with questions or schedule in-person demos. Once a customer has decided the ModVans CV1 is right for them, they use the ModVans website to select options, make customizations and place a reservation. Based on the options selected and our current production schedule, our reservation system automatically collects a refundable $1,000 - $4,000 reservation payment and provides an estimated delivery date. When a new reservation arrives, the ModVans sales team springs into action. We contact the customer via email or phone to confirm their selections and make any last-minute changes. A sales order is generated and electronically signed. The sales order contains all customer selections and converts the customer’s reservation payment into a non-refundable deposit. With the sales order and deposit secured, ModVans orders the customer’s Transit chassis from Ford. A custom-ordered Ford Transit chassis takes about 12 weeks to arrive at our factory from the Ford assembly plant. When the Transit arrives at ModVans, our production team begins the conversion. The conversion uses over 300 parts, including off-the-shelf parts, which are ordered from various manufacturers and distributors, and custom parts, such as the pop-up top and cabinets, which are manufactured in-house by ModVans. The conversion process for a CV1 takes a team of two techs about three weeks and requires about 750 square feet of floor space. While the customer’s CV1 is being assembled, our sales team works with the customer to finalize payment or financing and travel arrangements. Most customers come to the ModVans factory to take delivery of their CV1 so they can meet us in person, receive hands-on training, and start their new adventure from beautiful Ventura, California. Versatility: With safe, comfortable seating for up to seven and removable RV components, the ModVans CV1 is the only available modular, full-featured RV/camper van, family van and work van all in one. Our pop-up top roof adds space without the loss of driveability, maneuverability and parkability. Every CV1 comes standard with a long list of RV features including five-passenger seating and two large, comfortable and removeable beds. Design: We believe that traditional RV manufacturers are in a rut, using 70s-era design elements like particle board and laminated countertops. The ModVans CV1 uses strong, durable and lightweight materials, such as aluminum and composite panels. We combine these materials with clean, modern design principles made popular by brands such as Apple. Price: With an MSRP of $85,000, the CV1 is priced well below the competition. Traditional Class-B RVs, such as those from Airstream and Pleasure-Way, cost well over $100,000. Direct competitors, such as Sportsmobile and Colorado Camper Vans, charge more for fewer features, have, in our opinion, outdated designs, and don’t offer a complete RV financing solution. ModVans created and maintains our price advantage by using mass and automated manufacturing, low overhead and a relentless pursuit of best-in-class parts and materials at the best prices. Modern Manufacturing: While we believe our competitors are stuck with old designs that require lots of error prone and expensive manual labor, ModVans built a set of “modules” that can be mass produced. Every custom ModVans part starts with a 3D CAD model. Computer Automated Manufacturing (CAM) with automated routers, molded parts, and computer designed templates ensure consistent quality at lower prices. ModVans plans to expand its use of automation with materials handling and industrial robots for cutting, drilling and welding. In addition to being less expensive and easier to purchase than other RVs, ModVans CV1 owners save even more money over time. First and foremost, there is no need to own a totally separate and expensive vehicle for camping. Traditional RVs guzzle gas, are expensive to maintain, expensive to store, and expensive and time consuming to service. Campsite spaces for large RVs are more expensive and much more limited in availability (the CV1 can fit in almost any campsite parking space). As a daily driver, the ModVans CV1 requires no special storage, fits in standard parking spaces, and gets good gas mileage. Ongoing maintenance is easy, too, as the Transit chassis can be serviced at any Ford dealership. Sources: Prices and equipment lists estimated from www.modvans.com, www.airstream.com, www.sportsmobile.com and www.coloradocampervan.com. Ease of purchase ability based on ModVans 2018 Survey of Competitors web based pricing and reservation capabilities. The ability to use the CV1 as a daily driver will depend on each customer's individual circumstances. A few years ago, our founders, Laurie and PJ, had a rare opportunity to take a month-long trip. They wanted to check out #vanlife, so they bought a used RV and took a road trip. They (and their dogs) loved the the trip, but the RV was a beast to drive and guzzled gas like it was the 60s. They had to pay to park it in a storage facility when it wasn’t in use, and it seemed silly and excessive to take it out for short solo trips. They found that they wanted a modern, reliable and modular vehicle they could use for camping AND as a daily driver. They searched long and hard, but they couldn’t find what they wanted at any price. So, after a lot of research, they bought a Transit van and got to work building the camper van of their dreams. At first, friends and family were skeptical, but as the project got nearer to completion and the vision became concrete, excitement started to build. They realized they had something amazing to offer the world - a vehicle that can do it all. Knowing that PJ and Laurie were serial enterpneuers, friends suggested that they start a business selling camper vans. Well versed in lean startups, they determined that the MVP was a website and preorders for five CV1s. They assembled a collection of photos of their van and launched ModVans to the world. In the last 11 months, ModVans has sold over $2.4 million worth of vans with $30 in Craigslist ads! ModVans is certified by the RVIA and listed in JD Powers' NADA Guides. In addition to the prestige and assurance these designations confer, our customers are able to obtain legitimate RV financing and extended service contracts. Each iteration of our build process leads to improvements. Each delivery brings another happy customer and another success for us. When we build vans, our thought process is, "What would we want in a van?" It is our goal to build great adventure vans that meet strict quality and safety standards. One of the major motivations for pre-selling five CV1s was to ensure the ModVans goal of being a great place to work. All full-time ModVans employees earn above living wages with full benefits such as health insurance, paid vacation, and the opportunity to participate in our stock incentive plan. Every ModVans employee is an investor just like you! It isn't often that a lean startup with existing customers and a record of successful sales comes through a crowdfunding platform, but that's what ModVans is: a legitimate company on that has had explosive growth. This is your opportunity to invest at the ground level and be a part of ModVans history. Come join us! "It's nice to see a move toward smaller, more practical motorhomes that can be used throughout the entire year - camp with the CV1 in the summer, drive the kids to sports in spring and fall, and use it to haul supplies for your winter home remodeling project." "The ModVan CV1probably isn’t what comes to mind when you think of a camper, but give it a try. You just might like it." "The floorplan of the CV1 is quite impressive." "But there’s a new generation of camper vans out there, and the pop-top design has made a bit of a comeback. Take the ModVan, for example, which is based on a Ford Transit platform." ModVans is an adventure van that doubles as a daily driver. As you might know, ModVans has exceeded its minimum funding goal. When a company reaches its minimum on StartEngine, it's about to begin withdrawing funds. If you invested in ModVans be on the lookout for an email that describes more about the disbursement process. ModVans Launches on Product Hunt! ModVans Wins Top Spot at RVX Show! 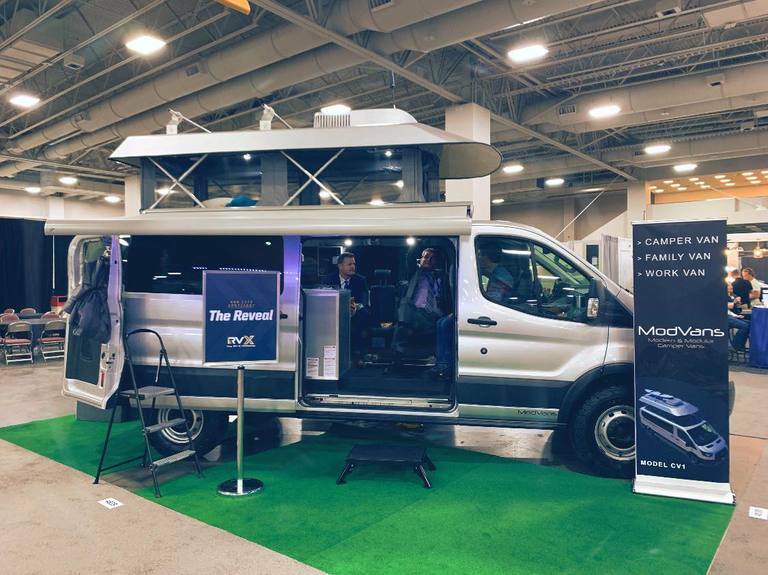 RVX is the biggest RV dealer-focused marketing event of the year and ModVans was in the spotlight. The ModVans CV1 was awarded the top spot in the Van Life category! Interest from RV Dealers is through the roof! 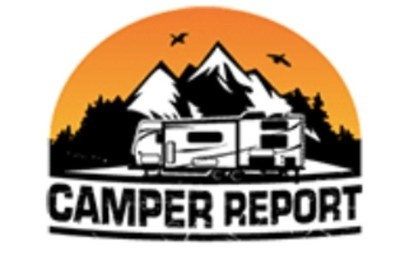 Fortunately, we've built an app just for RV dealers so they can order CV1s for next year's camping season. Some of you may be old enough to recall when products came with documentation! Between our engineering work, our own camper van use and feedback from early customers, we are starting to build a CV1 knowledgebase. Rather than answer the same questions over and over, we decided to write an Owner’s Manual for the CV1. The Owner’s Manual is designed to be both used electronically or printed (in duplex to conserve paper) for offline us. We also build a CV1 Owner’s Area on our website. For now, this is a central location our customers can use to access and download all documentation associated with their CV1. In the future, this will become a central place for owners of ModVans products to learn and communicate with ModVans and other ModVans customers. Thanks so much to all our investors! With over $125,000 raised so far, the campaign is a big success! In addition to the money, we have over 170 new investors and our new extended family is helping us share the ModVans story far and wide. Part of the purpose of our StartEngine campaign is to build brand awareness. 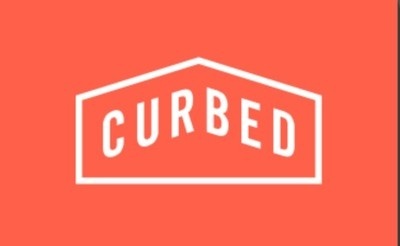 Since our campaign launch, we’ve gone from 200 to over 1,500 followers on Facebook, from 0 to 200 followers on Instagram and grown our email subscription list to over 700 verified addresses. As some of you may have already read, we are in the process of extending our StartEngine investment campaign deadline. Our campaign didn't rocket to $1 million, but we are making steady progress, so, at this point, it makes sense to extend it. Nothing in our road map has changed – we are still headed to RVX next month and still expanding production has quickly as possible. The money received so far has helped us expand our team, purchase new chassis and materials and now we have enough money to lease a new, larger facility. We are currently at 8 employees - 6 full time and 2 part time. Week before last, we hired Tania part time to assist with inventory management (see below), and last Thursday, we welcomed a new full time Assembly Tech, Jerry, to the ModVans team! To speed up production, we recently split the 4 full time shop employees into two teams: Parts and Assembly. Previously, we did a lot of cross-training. Everybody could do almost every job, but our assembly operations had delays waiting (and looking) for parts. We have a fair number of "parts" we manufacture such as the cabinets and popup top lift mechanism. Now the Parts team will be responsible for manufacturing these parts and staging them for the Assembly team. This new organization is already helping. We also created and hired for a new position to monitor our inventory with a plan to avoid outages for purchased parts and raw materials while keeping our inventory lean (to minimize costs and storage space). We plan to split the factory floor into Parts (left) and Assembly spaces (right). As you can tell from the rendering, having the RVs in two rows would be difficult without a lot of shuffling, so we think this space would probably work best for up to 8 RVs per month (1 row of 4 lifts working with each lift/assembly team building 2 RVs per month). For this space, there is some outdoor storage as well that will be important for new chassis staging and completed RV delivery. The Time to Invest in ModVans is NOW! 1) In the last few weeks, we’ve been cold called by 3 RV Dealers (Colorado, Minnesota and Florida), 1 Ford Dealer (Colorado), 1 Merger & Acquisition firm on behalf of a large RV manufacturer (Europe) and 2 large investment groups. None of these calls has yet gone much further than introductions, but the point is that interest in ModVans is building and a deal that impacts stockholders could break at any moment. 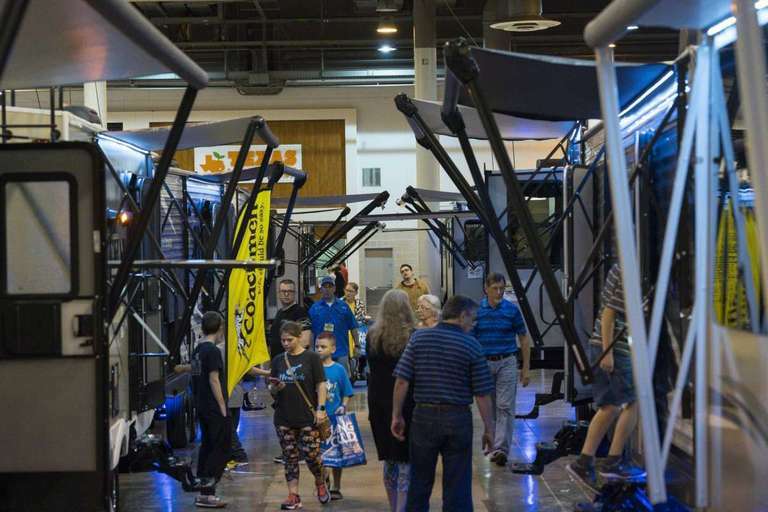 All these calls have two things in common – the callers see that the RV market is headed away from large RVs to smaller, hipper, more flexible vehicles and they like what ModVans is doing enough to make a call. 2) In March we will be exhibiting at the RVX RV industry trade show in Salt Lake City. This will be our first exposure to the full RV industry, including large RV Manufacturers and RV Dealers. We looked carefully at every other exhibitor and, in our opinion, the CV1 will be the most interesting and exciting new thing at the show! We had originally planned to bring one completed CV1 to show in our exhibit floor space (see 3D example layouts below), but, due to some exciting (and secret) developments this week, we will now be taking two CV1s! Building 2 CV1 in the next few weeks will be tough, but the team is ready for the challenge and the results will be worth the effort. With 2 RVs at RVX and our new and unique style with the CV1, 2019 will be the year that ModVans becomes a force to be reckoned with in the RV industry. At a minimum, we expect to receive a lot of free press and major RV dealer contacts, but this type of exposure could easily lead to a major event for ModVans investors. Don’t kick yourself later down the road for failing to invest in ModVans when you had the chance! With positive cash flow from sales, a great team, solid growth plans, and a $900 billion (with a "B"!) addressable market, ModVans is a reliable investment that could end up being worth many times your original stake. MODVANS RECEIVES CLEAN COMPLIANCE REVIEW FROM CROWDCHECK! Every equity crowdfunding campaign must undergo a legal compliance review, and CrowdCheck recently concluded its review of ModVans. Compliance checks determine whether a company is a legitimate venture conducting the type of business it claims, is properly incorporated in a US state, and meets the legal requirements for soliciting investment via Regulation Crowdfunding. We are pleased to share ModVans' clean compliance report from CrowdCheck! (http://portal.crowdcheck.com/#/report/view/493) Because we are confident in our proven business model and believe that ModVans has an extraordinary future, we believe that investing in ModVans is a good prospect and we hope that this latest success enhances our legitimacy and provides a boost of confidence to current and prospective investors. The only thing holding us back from explosive growth is lack of capital. In order to meet customer demand, ModVans must expand production into a bigger space and hire more team members. INVEST NOW and INVEST BIG! Be a ModVans backer and help us build ModVans for everyone who wants one! ModVans is thrilled to announce that our investment campaign hit the $100,000 mark today! A huge thank you to all our investors for getting us this far! Please encourage your friends and family to take advantage of a great opportunity to invest at the ground level!